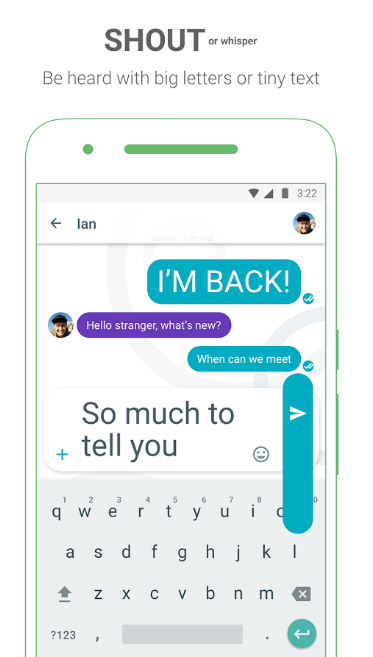 Google has recently launched its much anticipated messaging app named Google Allo. 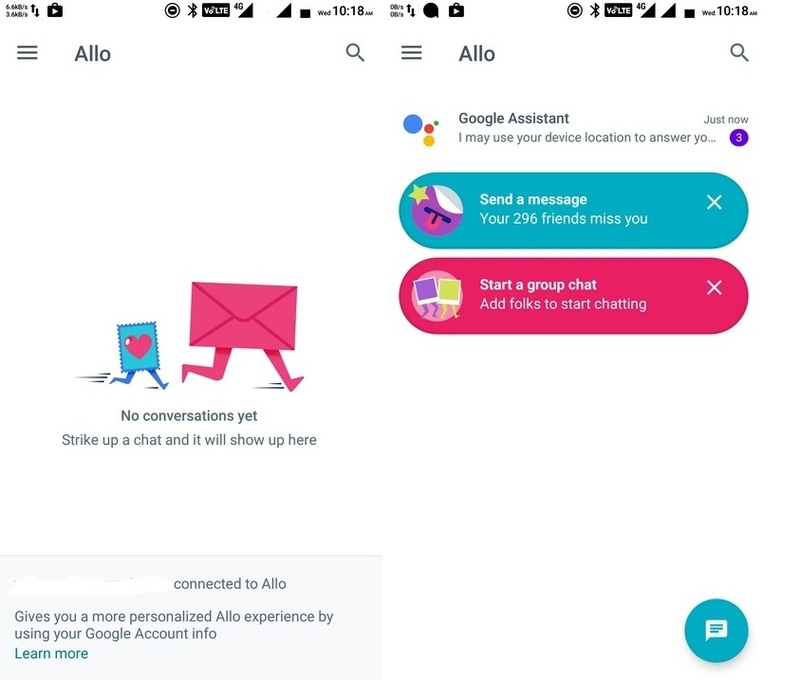 Google Allo was launched after the success of Google Duo, a video calling app. 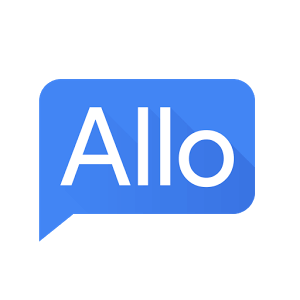 Google Allo will be a part of messaging app that will also include sharing of media files. While Google Duo is a fully featured video caling app. This app will let you send individual text message or a group message. Hence you can create a group with your friends, just like you did on Whats App. 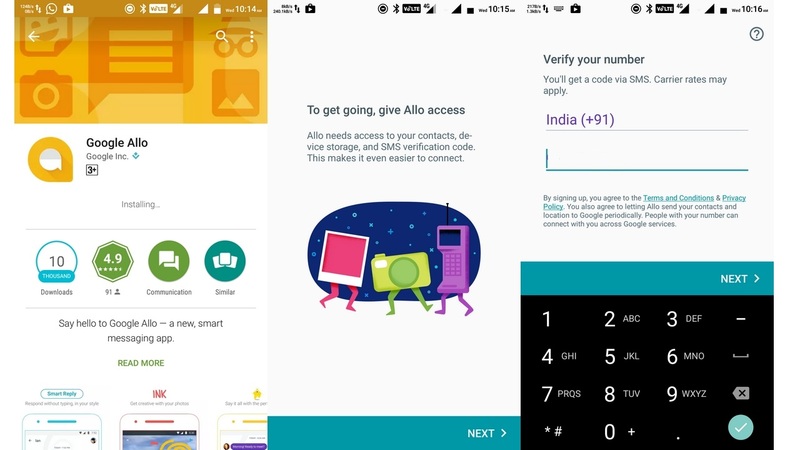 To start using Google Allo, just download the app from Play store. Or you can click the link below. Install the app on your device. Once installed, open it and verify your mobile number. The app will send you a message with verification code in it. After verification, you wil be asked to set up a profile photo and add a name. After the initial setup, you can send an invite to your friends and family. Just press the chat button and it will show you your contacts. Click or select to invite them, or just send a message to the one who are already connected. 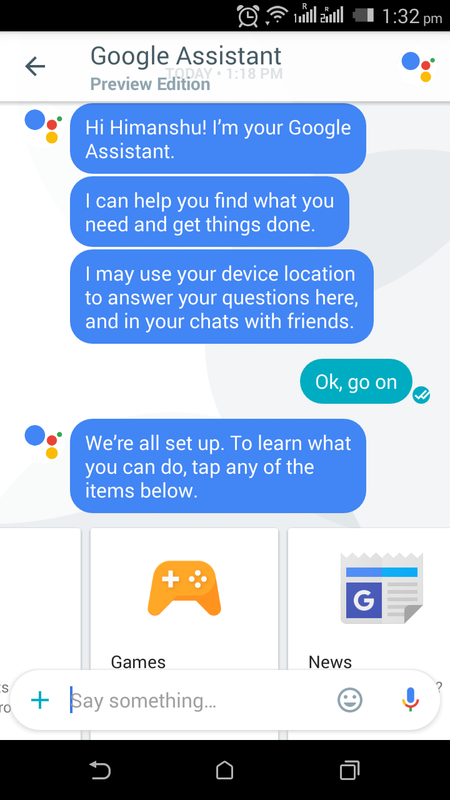 Google Allo also comes with an assistant Google bot which will guide you with basic steps. Google Assistant is just like cortana/siri and can answer your questions. This is really a good feature to play along with. 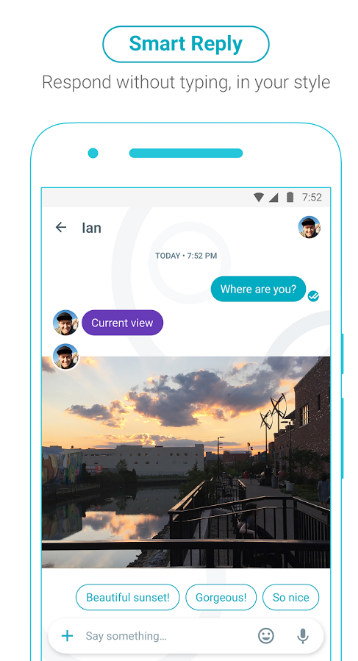 Google Allo is designed to support sharing a media files. You can share your photos or videos from this app. There is a limit of 20 images at a time (while whats app has a limit of 10). 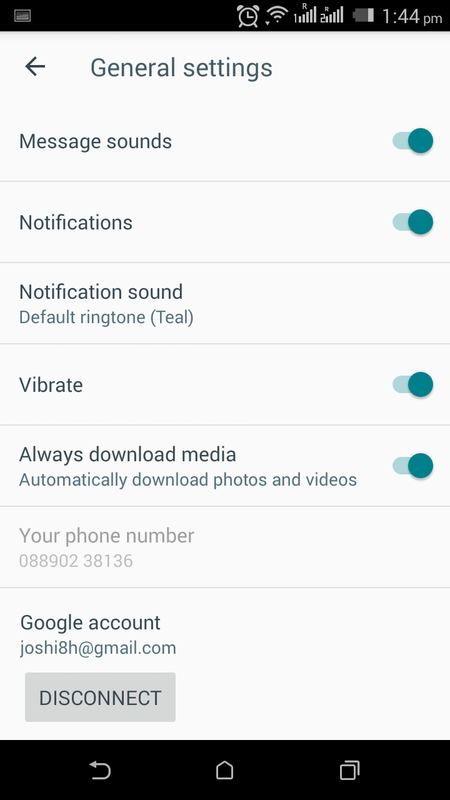 Google Allo also comes with basic settings such as messaging sounds, vibration, notification sounds and media sharing options. Respond to messages without typing a single word. Smart Reply learns over time and suggests responses to text and photos, in your style. This feature selects a type of reply you want to give to your friends. That reply is based on your previous communication. Hence can save you a lot of time and effort. 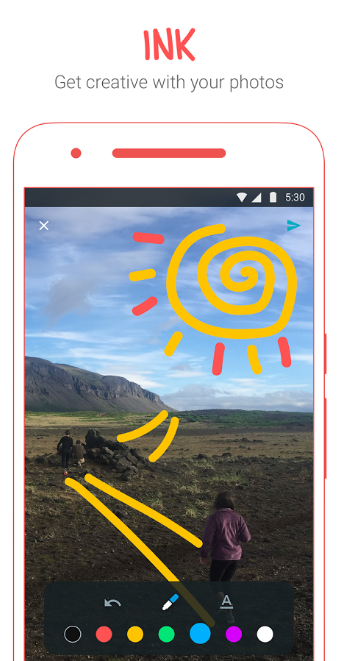 Get creative with the photos you send by doodling on them or adding text. This feature lets you to play with your images and add a text or custom shapes. Ink will help you to describe your photo easily to your friends. It is really a cool feature and can add more to regular text messaging. Say it all with the perfect sticker. 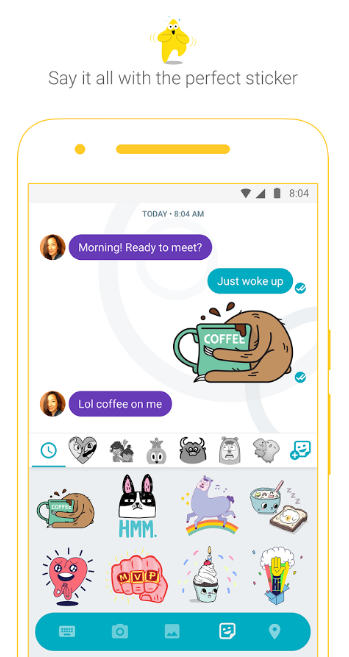 Stickers in Google Allo are designed by independent artists and studios from around the world. There are a lot of cool stickers available on Gogle Allo. They also comes in different sizes and are fun to use. These Stickers are not available on Whats App, hence can attract more users. No more typing in ALL CAPS to get your point across. Say it louder or quieter by changing the size of your text with a quick swipe. You can add a bold text or a small text, showing your reaction to a situation. This is a very attractive feature that has been missing on Whats app for a long time. Also this feature can describe your mood or your reaction on a particular subject. Send messages with end-to-end encryption, use private notifications to help keep your chats more discreet, and control how long your messages stick around with expiring chats. This will help you to send encrypted messages that will be safe from hackers. Also you can use the feature to add an expiration timer. Hence after a particular time, your message will be permanently deleted and will not be recoverable.